Material Handling equipment is used to transport, lift or convey significant loads in a reliable manner. The Mast guide Bearings and Leaf Chain on Fork Lift Trucks are the key elements to keeping a fleet running 24/7. Special Solutions: We offer cut to length leaf chain; available for overnight shipping. Cranes require high load carrying capacity and durability whether it be for Wheels, Crane hooks, Hook Blocks, or Pillar applications. 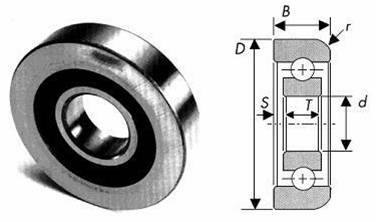 For most applications Spherical Roller bearings provide a durable solution. 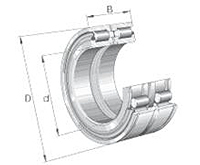 Special Solutions: For applications requiring extra high dynamic and static load ratings we recommend Cylindrical Roller Sheave Bearings which have the added advantage of rubber seals to prevent water and dust intrusion. These are highly suitable for Rope Sheaves.